ISO 37001:2016 – Anti-bribery management systems – Requirements with guidance for use has been released. This new international standard seeks to help organizations, whether they are public, private, or non-profit, prevent bribery within their activities. Bribery raises serious social, moral, economic, and political concerns, undermines good governance, hinders development, and distorts competition, in addition to being negatively impactful to human rights. Bribery is, in many ways, an archaic activity of corruption that has unfortunately found its way into the Modern Age. 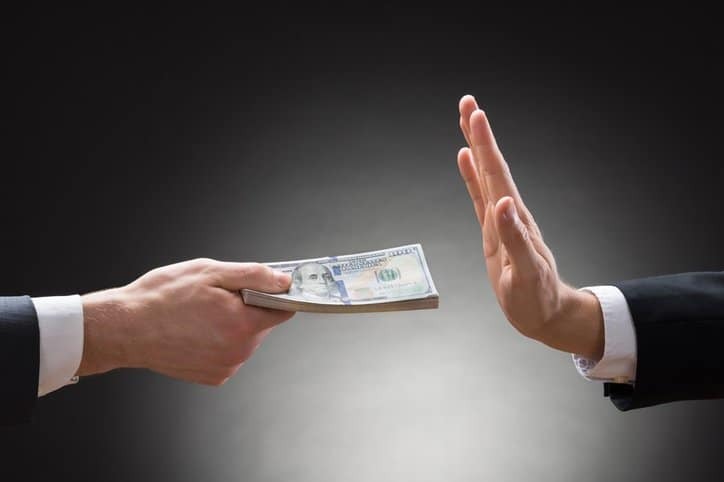 Luckily, governments have made significant progress on combating bribery in recent history, through international agreements such as the Organization for Economic Co-operation and Development Convention on Combating Bribery of Foreign Public Officials in International Business Transactions and the United Nations Convention against Corruption. National laws further add to these regulations. In most jurisdictions, it is an offense to engage in bribery. However, despite these laws, bribery still persists. In a survey conducted between September 2012 and March 2013 with participants from 95 countries, some alarming bribery rates were revealed. Out of the many people questioned, 31 percent admitted to paying a bribe to the police, with similar bribery practices being revealed in different unethical and illegal acts. Clearly, national and international legislation is making an impact, but it isn’t enough. ISO 37001:2016 strives to meet this current vacancy in the efforts to curb bribery, by allowing for organizations to incorporate a management system that is intended to evaluate and improve current practices. While it is not meant to address any other corrupt practices, such as fraud or money-laundering, an organization can choose to extend the scope of the management system to include such activities. ISO 37001:2016 also makes use of the shared Annex SL structure that was first found in past revisions of ISO 9001. Because of its similarity in structure to other ISO Management System Standards, the anti-bribery management system standard should be easily comprehendible by the reader, and the system itself can even be incorporated into an organization’s overall quality management system. ISO 37001:2016 – Anti-bribery management systems – Requirements with guidance for use is available now on the ANSI Webstore.